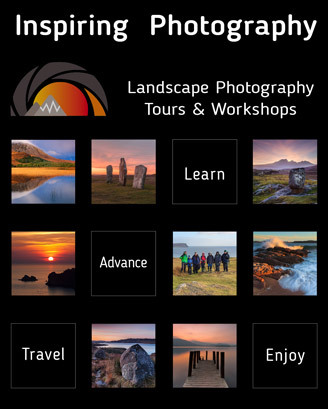 What is Landscape Photography Magazine all about? In 2011, when I founded Landscape Photography Magazine, I could only have imagined how popular it would now have become. As a landscape photographer I always felt the need for a bespoke and unique magazine dedicated to the wonderous art of landscape and nature photography - in all its forms. Now, a few years later, LPM has gained worldwide recognition. With a rapidly growing following and subscriber base we can now proudly claim the title of the leading online landscape photography magazine. Published every month, LPM and its accompanying website has over 300,000 unique visitors in more than 190 countries, making it a truly international photography magazine for the digital age. Packed with refreshing content, exciting features and stunning imagery from around the world - all provided by innovative professionals and enthusiasts who share one passion - that of landscape photography. It makes no difference if you are using a large format or a compact camera, we welcome everyone the same way. Our aim is to spread the love of landscape photography all around the world and inspire all ages on every corner of this planet. As LPM enters the future, we have exciting plans in place to continue to move the magazine forward and cement its position in the marketplace – watch this space.